All things you don’t need to care about. At least not as much as what comes ahead for Email Marketing, right? However, to help you keep updated with the trends, we’re gathering a few of the major publications that reference sites have provided on the subject. 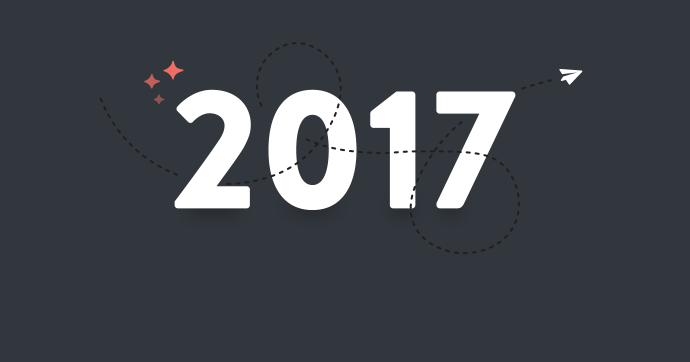 According to Litmus Blog, the biggest Email Marketing Trends in 2017 will be centered on Automation, Big Data, Omnichannel experiences and interactive emails, just to name a few. Usually, everything that makes a creative person cringe. Terms like Big Data, Automation and making use of some sort of programmatic strategies, makes most people afraid of becoming overwhelmed by information. Far from it, if you take it with a more open minded approach. In fact, it’s becoming essential to stand out from the crowd and eventually, people even expect that from your brand. From Campaign Monitor comes a set of Predictions on Email Marketing Trends, which obviously includes Data-Driven strategies (yes, it’s becoming common). Since Mobile is becoming huge, the interaction with the mobile OS of every device could conduct to mobile payments directed by email marketing as well. 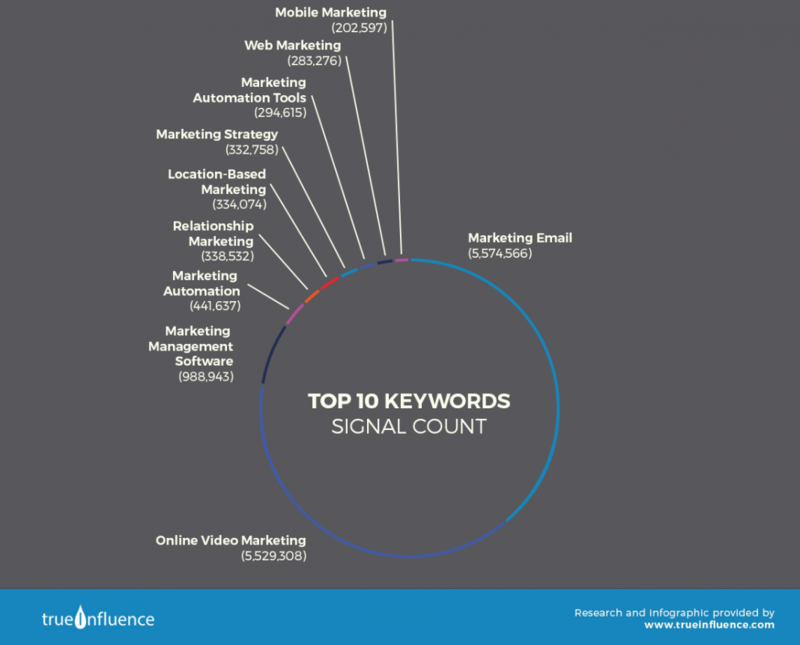 Marketing Automation as we could expect. Behavioral Data as a key point and trigger mechanisms to interact with these people. Gathering more information than just a plain email address will become key as well. KPI’s should also be beyond the usual open and click rates. These are just a few snippets, but I strongly advise you to check the entire article which is very complete and readable to let you understand where you must invest your efforts on 2017. We haven’t forgotten about you, who likes graphical and “digestible” pieces of content to get the entire picture. To help us with that, our friends at EmailExpert have summarised a good article ,and, based on a True Influence study, there’s a infographic to explain everything what’s going to happen on Email Marketing in 2017. What are you waiting for to see it? As we intend to do with this post, EmailMonday has compiled their own mega article on what’s changing and what we should be taking care of with Email Marketing, for the next few years. It’s a thriving and prosperous future, as we can determine from different perspectives around the world. It’s not fading, but evolving and relying more and more in automatic systems which are also based in data, information and triggered actions. Your job will be more directed to managing or developping strategies, and less on actual day to day sending process. Inspiring and powerful days coming ahead. Are you ready? Start by reading this article which shorts them up. It’s almost on the same notes from the previous ones. Again, focus on Automation but also focus on Targeting, Inbox placement and Deliverability, Privacy and new Creative work. We’re already seeing some patterns. If you’re smart you’ll follow them to get your Email Marketing into the next level. Why do I love this article? Because it’s also a clear and beneficial demonstration of Email Marketing versus other channels, putting to rest a lot of arguments about its decline. Statistics and numbers don’t lie. Now, let’s look at the main trends covered on this issue: Superior segmentation, which has also been previously mentioned and when we have segments, we can do also a higher level of Personalization. Mobile is also a big trend as we could expect by now. Omnichannel and integrating email with other channels like social and other data powerhouses is also a must. But let’s not forget about creativity. Interactive, beautiful emails which points out to conversion is a big, big TOP. Bottom line, another set to compare and see patterns coming by. Are you seeing some? Let’s Recap, Shall we ? If you see these futuristic predictions about Email Marketing, you’ll notice some of them coming up even though with different approaches. Let’s see if I can sum those up. Big Data – If you don’t like the name, change it for multi-source tracking and data analysis. It’s not that better? Change it for Little Pony of Data. Honestly, I don’t care what you call it. You need to capture all (of )this data flowing around about your audience and collect them into a structure which will allow you to take actions. Mobile – And by that, it’s not only your emails that need to be in a responsive/adaptive format, but also your landing-pages and sites. We’re living on a Mobile world TODAY. Also, since we’re in a mobile environment, we can also take advantage and make use of their payment capabilities. Omnichannel – Remove the encapsulation of your channels. They’re just that: channels. You can use them in perfect sync and even trigger different responses based on what your audience have done in different systems. Marketing Automation – Let’s face it. To create new and valuable content everyday for different segments and approaches may become unmanageable. If you program your platforms to deliver an immersive experience to each of your potential customers, based on a series of personas segments and with careful designed messages, you can lead your brand to an explosion of growth. Creative, Enticing and Beautiful Interactive Emails – Yes, you need to top up your game. Hire people or use professional services to help you create emails that stand out, not only in images, form, but also in an interactive approach. It’s like buying your clothing line from a uniform industrial assembly line versus a tailor made stylish modern designer line. What do you think it’s going to stand out in the crowd? Imagine this: in 2015, 205 Billion Email Messages were sent and received every day. In 2019, that number will pass 246 Billion. It’s a lot of emails. For me, these are the big ones. There’s other trends that will gain expression in 2017, but these are the ones that will make the difference to everyone doing Email Marketing. I hope you’ve found this useful.